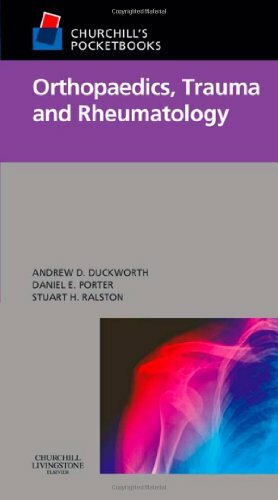 Part of the "Churchill Livingstone Pocketbook" series, this pocketbook covers the essentials of orthopaedics, trauma and rheumatology. It is suitable for medical students and foundation doctors. This new publication in the classic "Churchill Livingstone Pocketbook" series was highly commended in the 2009 British Medical Association Medical Book Awards. The pocketbook covers the essentials of orthopaedics, trauma and rheumatology and is suitable for medical students and Foundation doctors.